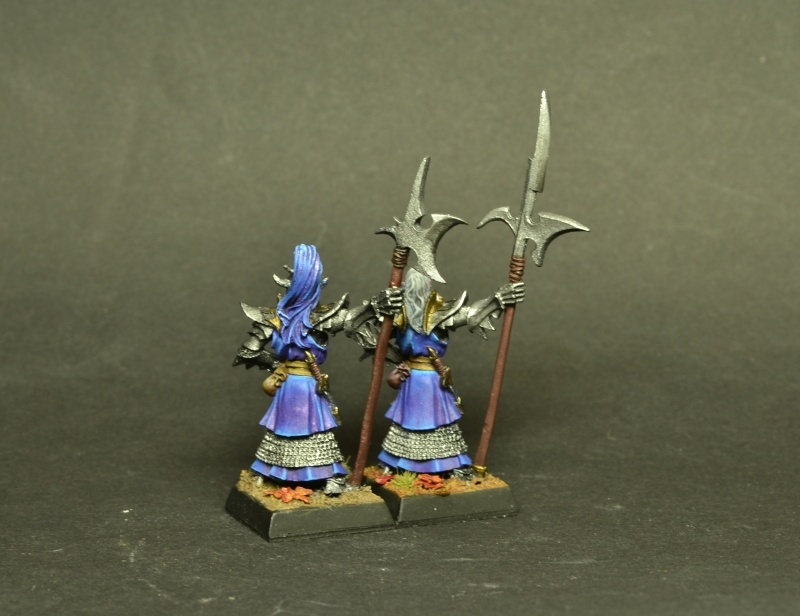 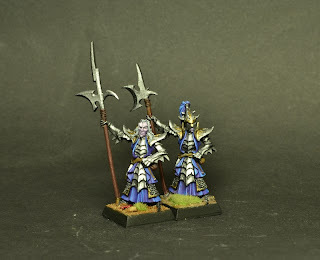 the last few days i was painting the first minis for my girlfriend´s dark elves army - She wants to start playing Warhammer with me and my friend because she likes the fantasy genre a lot and she likes the miniatures too. 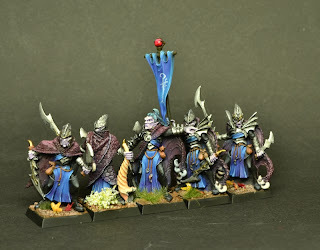 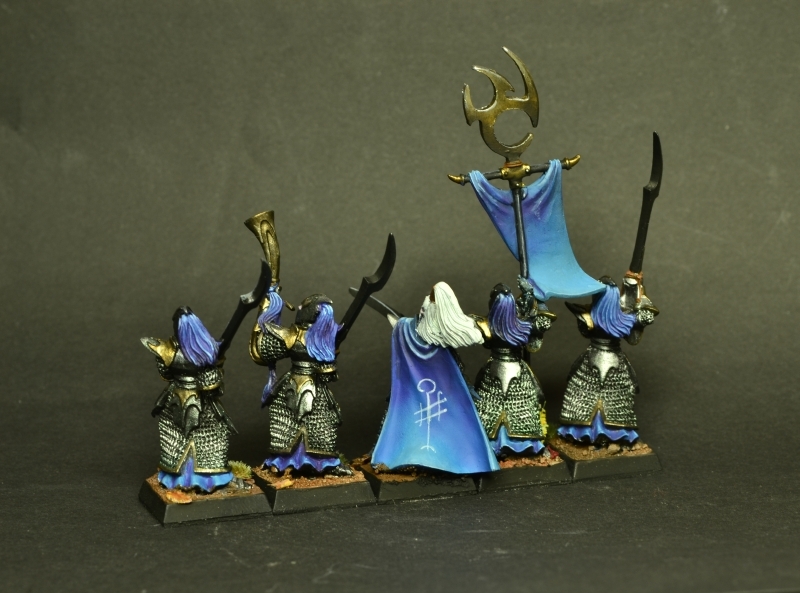 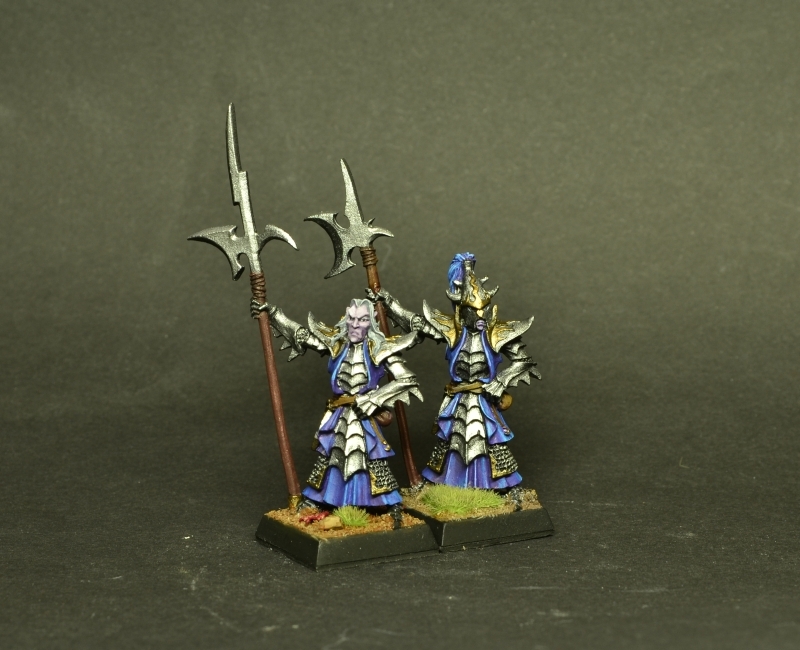 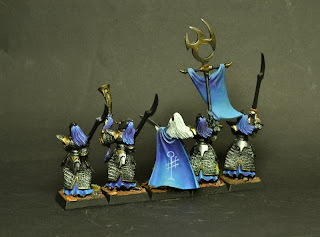 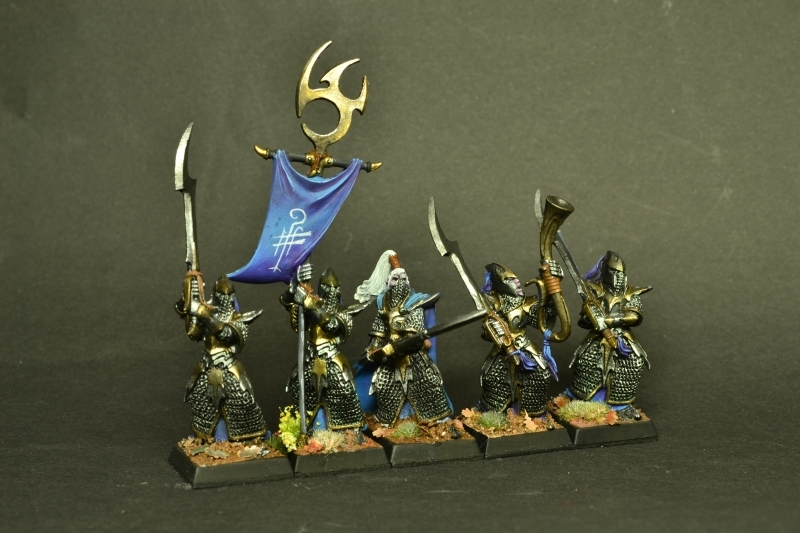 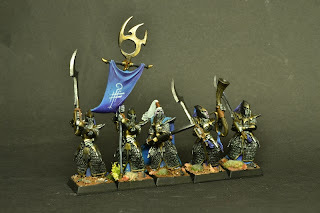 The dark elves were the first miniatures i bought and the start of my painting hobby. 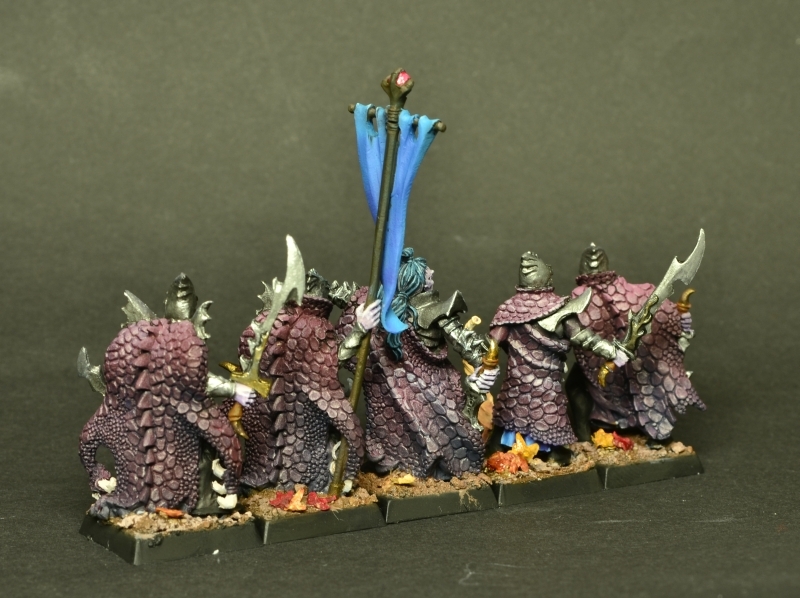 colour scheme. 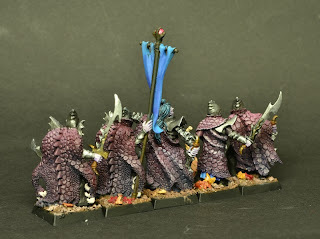 My goal is to paint a whole army in the next fiew months and here are the first impressions. 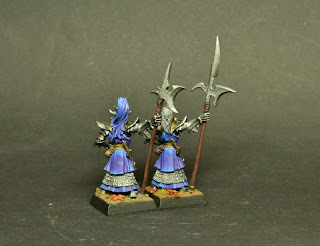 oh my, painting so much little dudes and dudesses...this must be quite booring! nevertheless you pulled it off quite nicely!